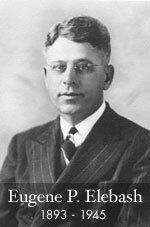 On April 1, 1919, Eugene and Le Grand purchased Lindenstruth Jewelers in downtown Pensacola and subsequently renamed the store “Elebash’s.” Within a few years, the family was operating several stores across the Southeast. Eugene moved to Pensacola to focus on overseeing the Pensacola location while his brother Le Grand supervised the Selma store. The Pensacola location began to thrive, and Elebash’s became known for offering high quality jewelry and superior customer service. In 1940, Eugene purchased the growing Pensacola operation and left the remaining stores in the Southeast to Le Grand. At the same time Eugene welcomed his son, Eugene Jr., into the family business. Elebash’s continued to grow, thanks to the continued patronage of loyal customers. The company began a long tradition of giving back to the Pensacola community by supporting various community groups including the Salvation Army, the Escambia County United Way, and the University of West Florida. Eugene Jr. became active in civic affairs, serving two terms on the Pensacola City Council and two years as Mayor of Pensacola. 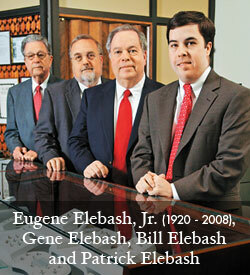 In 1970, Eugene P. Elebash III and William N. Elebash entered the firm, marking a new generation of life for Elebash’s. In 1981, this third generation moved the store from its original location at 19 South Palafox to a larger location across the street at 36 South Palafox, where Elebash’s remains today. In 2005, Elebash’s welcomed a fourth generation, as Patrick N. Elebash began working for the family business.